This top-rated master class is brought to you by the official Stage-Gate® company. Learn to master the award winning business process used by thousands of companies around the world including 3M, ABB, Atlas-Copco, BASF, Bosche, Carlsberg, Caterpillar, DuPont, Exxon Chemicals, Guinness, Henkel, Hewlett Packard, Kraft Foods, LEGO, Mars, Microsoft, Novo-Nordisk, Orkla, Pfizer, Procter & Gamble, Siemens, Swarovski, Velux, Voith Paper, Volvo, VISA and many more. Discover the research-based principles that underpin the authentic Stage-Gate Model how it works and why it consistently delivers world-class innovation performance. Resist the temptation to copy another company’s Stage-Gate Model. 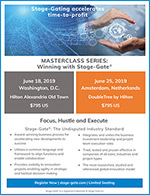 Instead, discover how to customize Stage-Gate to suit your strategy, capability and portfolio mix to gain competitive advantage. 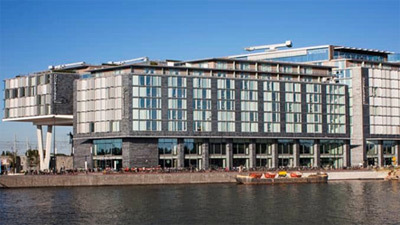 DoubleTree Hilton Amsterdam Centraal Station is located next to the Amsterdam Centraal Station. A direct train runs between the Schiphol International Airport and the hotel every 15 minutes. Book your room at Stage-Gate International preferred room rate of € 255.00. No Risk Registration – Your Satisfaction is guaranteed! Receive a full credit toward another Stage-Gate event if you cancel within 48 hours. If you cancel with less than 48 hours notice, a cancellation fee of $200 will be applied. Still not sure this event is for you? Speak to our event specialist, call +1-905-637-8797 ext. 231.